Color Printing Pros offers a full range of cheap full color printing services. Let us make sure your file is print ready. If you're new to printing online or just not sure your file will print correctly, you can send it to us for review and we will check it for FREE. Go to product page. 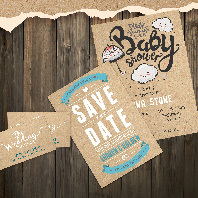 Using Quick Quote, choose your specifications. Tabs explain all your options. Choose your shipping method and get a quote. you will then receive low resolution proof for you to approve in order to proceed to print. Color Printing Pros is a high quality 4 color printing company (located in Newbury Park, California) specializing in CHEAP LOW PRICING, FAST TURNAROUNDS and PREMIUM STOCKS and FINISHES. We are unique among conventional online full color printing services in that we offer high definition printing as our standard plus 100% customer satisfaction guaranteed. Every job and customer is important and we back that up with outstanding personal customer service. We have built our reputation on repeat business by meeting or beating customer expectations. WANT VARIETY? You've come to the right place. Our many value added products and cheap full color competitive pricing means you may pay less for what you are now paying plus you will get higher quality. We have something for everyone. Our high definition offset printing has a larger color gamut so we can print more, brighter colors including pastels. This process allows for sharper printing of reversed (white) type and shows more detail in highlight and shadow areas. Color gradations and blends are smoother without banding. We treat everybody the way we expect to be treated. Every file is checked before it goes to print. If we find an error, we advise the customer of the problem and if needed, advise how the problem can be corrected. Our customer care people that you speak with are knowledgeable printing pros and they are able to make decisions so you never get bounced around. We are proud of being rated a Yelp 5 star business for our quality and customer care. Gloss things up with eye-catching spot UV effects! 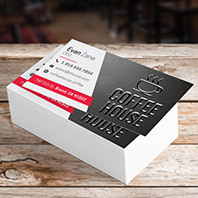 Suede Raised Spot UV Cards feature smooth glossy raised areas that contrast beautifully with the Suede/Soft Touch Laminate foundation of the cards. 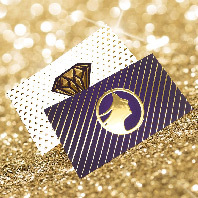 This product will make you the envy of all your competitors, and will receive compliments on their classy new cards. 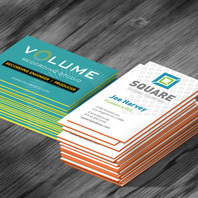 Suede Raised Spot UV Cards are real game changers if you want to exude style, elegance and class. Add a flash of brilliance to suede cards that you can see and feel. The combination of raised foil contrasted with the velvety smooth suede foundation creates a tactile experience that can be seen and felt. 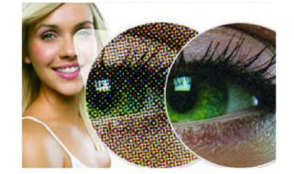 Metallic embossment effects can enhance amazing detail in images, special accents, and logos. The Suede Cards are printed on 16pt card stock, laminated on both sides with 1.5mil scuff resistant, soft velvet laminate, which give them a substantial thickness of 19pt. WOW FACTOR EFFECTS AND OPTIONS include Spot UV Coating, Painted Edge cards, Gold, Silver and Copper Foil cards, Akuafoil (Full Color Foil cards), Plastic Cards, Silk Laminated Cards, Suede Cards, Raised Spot UV cards, StarLustre cards, Waterproof cards, Luster cards, Pearl Metallic cards as well as Die cut cards. These custom printed unique products can help you stand out from your competition. We are always looking for new and exciting effects and will continue to added new value added products that are unique and eye catching. What are Bleeds and Borders? We've build our company on repeat business. Quality work with cheap full color pricing. Customer Satisfaction is the key. Our experienced professional staff will bend over backwards and jump through hoops to insure your job is always on time and on budget without sacrificing quality. Are you looking for cheap prices but for high quality 4 color printing? That is what we specialize in.